There we have it folks! South Korea has taken the Cup by beating India in the shootouts! Until next year, we’ll see you back here again for the best place to find out where to catch the live matches online. 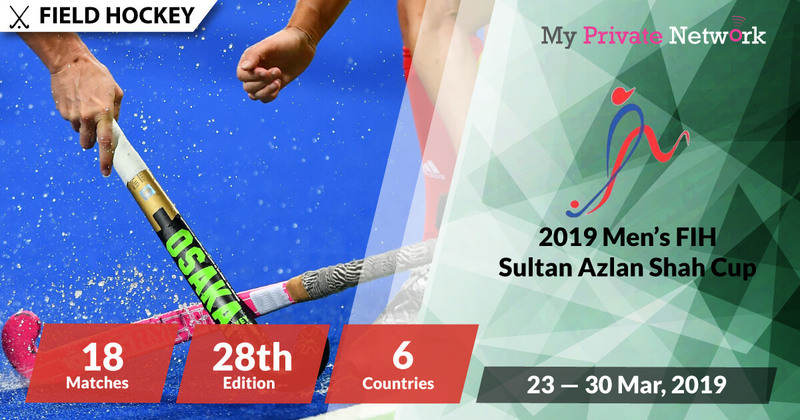 The 28th edition of the Malaysian-hosted Sultan Azlan Shah Hockey Cup most notably named after the ninth Yang di-Pertuan Agong (King) of Malaysia is set to kick off at the Azlan Shah Stadium in Ipoh, Perak. Live Stream Period 23 — 30 March, 2019. Know your timezones? Use WorldTimeBuddy.com if you want to check your timezone accurately. Our timezone is set to UTC+0 and we’ve listed the local timezone of Malaysia (UTC+8) as well. Updated official schedule and pool standings from Asia Hockey here. Broadcasting rights for this particular tournament is quite limited, but FIH has announced that we can watch the Sultan Azlan Shah Cup using HotStar (India) or YouTube! However, if you’re not currently in India or the unrestricted country for the YouTube stream, then you’ll need to connect to a VPN first before attempting to stream..
2) 2) Install the VPN on any device that you’ll be using to watch the 2019 Sultan Azlan Shah Cup. 3) Ensure that you connect to the appropriate country VPN server that is supported by the provider. For example, connect to India for HotStar. 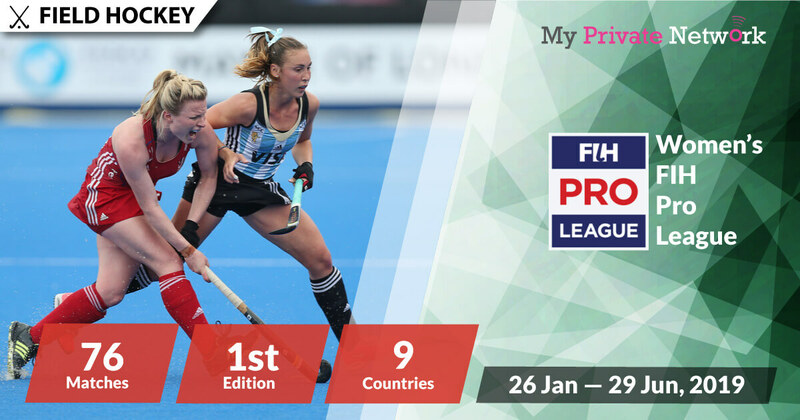 Otherwise, to access the stream from FIH’s YouTube Channel, you’ll have to check which country is available for the live stream videos. To do this, you can use the free tool from Polsy.org.uk and check restricted countries for YouTube videos – simply insert the YouTube video link from the list below and it’ll show you a list of countries that it is allowed in. Once you’ve located one closest to your current location, connect to the appropriate VPN server country and start watching the stream! Based on FIH’s stream availability last year, it possible that the YouTube stream will be blocked in the same countries again such as India, Pakistan, Bangladesh, Nepal, Maldives, Sri Lanka, Bhutan, Australia, Malaysia and Brunei. Click here to use Polsy’s YouTube restriction checker tool. Tip: Unfortunately, we have yet to confirm that the Sultan Azlan Shah Cup will be live streaming on FIH’s YouTube Channel. We’ll update this post when we find out more. Watch all live Sultan Azlan Shah Cup stream from HotStar. However, you’ll need a paid subscription with them to watch the tournament live. Availability: India only – Connect to the India VPN servers first before starting the stream! Note: Unfortunately, after testing HotStar on iOS and Android – it appears that they are now blocking VPN connections to its service. However, using a SmartDNS service still works fine with HotStar as long as you’re using a Wi-Fi connection on your mobile device. Tip: Sultan Azlan Shah Cup will be live streaming from 23 March 2019 on HotStar Hockey. You will see the live stream link available when the game is on. Watch all live Sultan Azlan Shah Cup stream from Astro. However, you’ll need a paid subscription with them to watch the tournament live. Availability: Malaysia only – Connect to the Malaysia VPN servers first before starting the stream! 1) Head to the Astro Go website or download the Astro Go app on iOS or Android. Tip: Sultan Azlan Shah Cup will be live streaming from 23 March 2019 on Astro Arena. We hope you found this article informative and useful. Please feel free to share it with your friends or family that want to watch the Sultan Azlan Shah Cup too!